1. First you need to prepare the basis from which we will make a box. 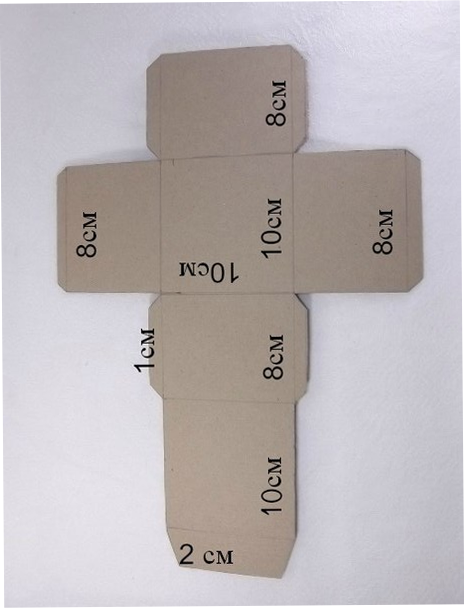 Take a thick cardboard and make the workpiece as in the picture. Then bend the parts, forming a box. 2. On the bottom of the crafts fasten the ribbons with glue. If the ribbons are poorly sticked, glue them to super glue. This is to ensure that the gift box closes well. 3. 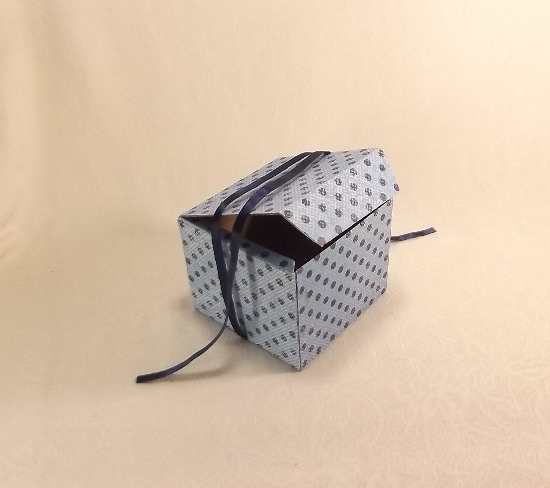 Next we need to paste the gift box with color or wrapping paper. 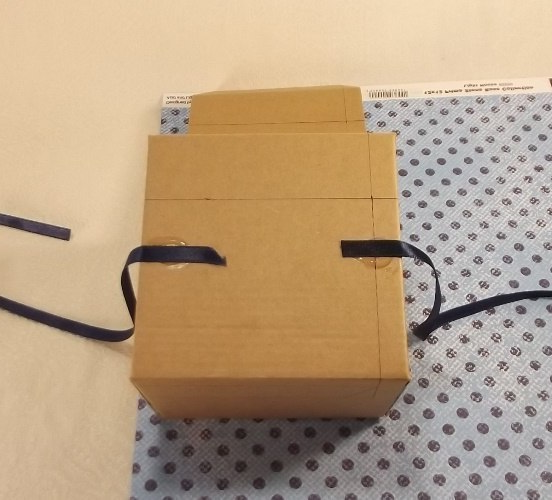 We do not recommend to make a box of colored cardboard at once, because then the place of gluing of the ribbons will be noticeable, but if you glue the colored paper then it hides all such flaws..
That’s it! We got this beautiful gift box. 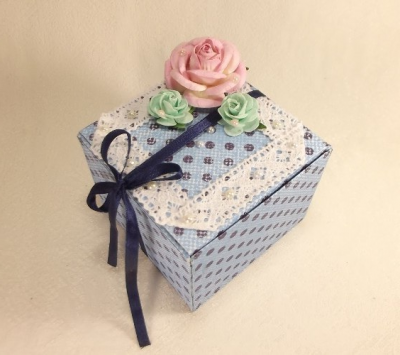 You can also make the box more original and decorate it roses, sequins, rhinestones or bows.